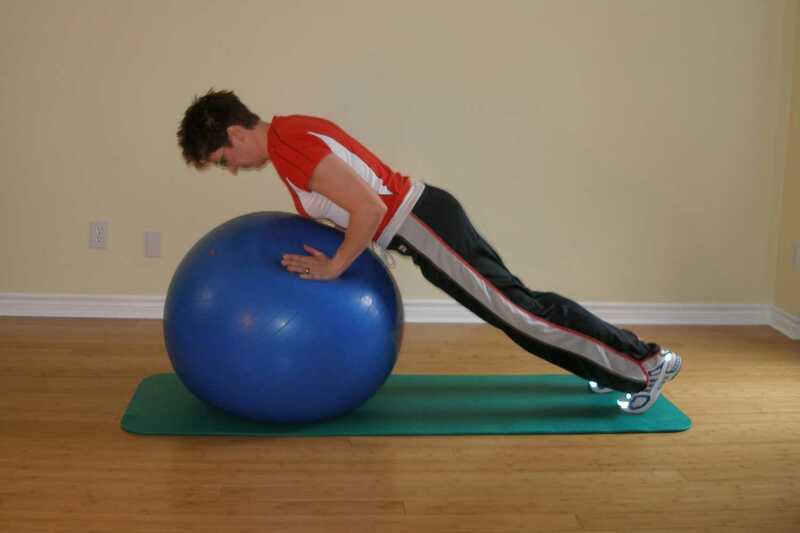 Use an Exercise Ball to Improve Scapular Stability. In order to perform any functional movement we need a stable base of support. In university they drilled into our heads "you must have stability before you can have mobility". This principle applies to the shoulder girdle as well. Lack of stability in the shoulder blade is often the cause of shoulder injuries such as bursitis, impingement, and rotator cuff tendonitis and tendinosis in the long term. Rather than creating movement, stabilizers control and slow down movement. Too much movement at the scapulothoracic joint causes one to lose control over what is occurring at the shoulder, leading to injury. Results show that activity in these stabilizing muscles is occurring to a lesser degree in B. Kneeling pushup plus on a chair, suggesting if you are just beginning this exercise or are recovering from an injury, this is a good place to start. If you are a throwing athlete, weight lifter, or have already been doing a lot of stability work and are looking for something more advanced, C. Standard push-up plus on the exercise ball recruited the greatest scapular stabilizing activity and put the greatest demand on the scapular stabilizing musculature. 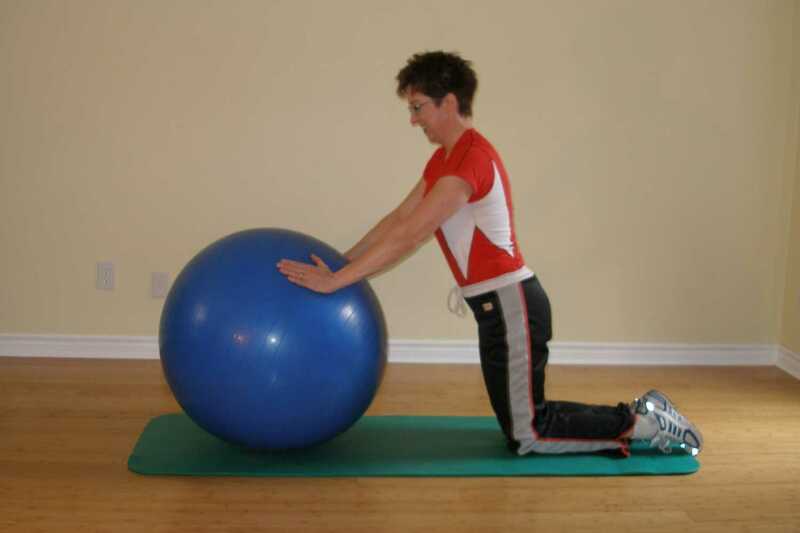 Illustration of the kneeling push-up plus using the exercise ball. After extending your arms, push further so that your shoulder blades come forward for the "plus" part of the exercise. Illustration of the standard push-up plus using the exercise ball. After pushing up and extending the arms, push further to bring scapulae forward using serratus anterior for the "plus" part of the exercise. 1. SH Seo, IH Jeon, YH Cho, HG Lee, YT Hwang, JH Jang. 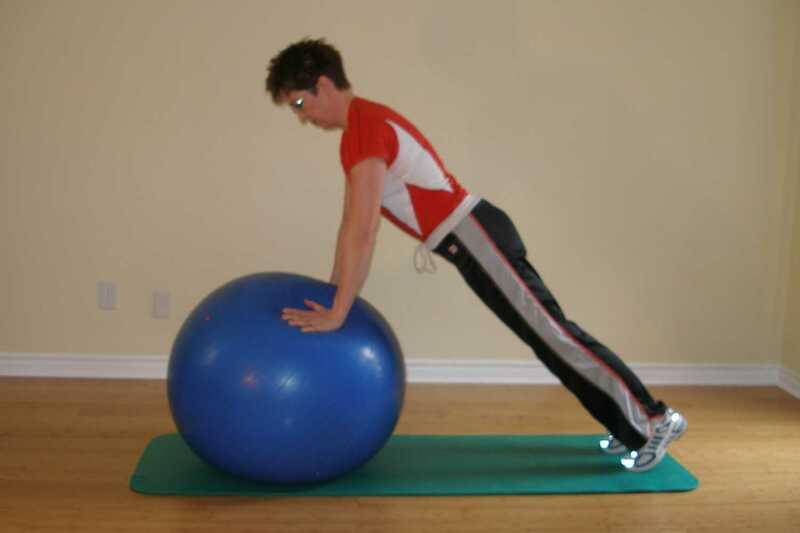 Surface EMG during the Push-up plus Exercise on a Stable Support or Swiss Ball: Scapular Stabilizer Muscle Exercise.